Come in your best costume and party FIESTA STYLE! Listen and dance to Latin sounds, take a swing at the piñatas and try a variety of margarita. Featuring an authentic taco bar, serving Enchiladas y mucho mas! Sounds of Descargas Latina at 8:00. · Hola? I thought it was Aloha! This season Grand Pines Golf Club will be sending someone on a one week, all inclusive trip for two to Puerto Vallarta – Mexico! 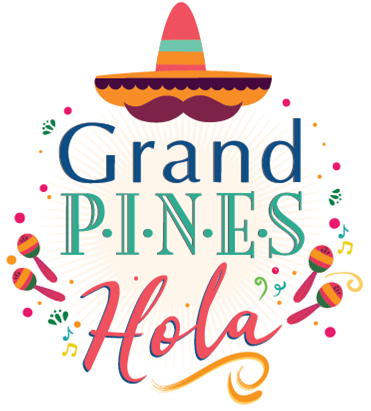 · GOLF at Grand Pines! · Come to our HUGE Mexican Fiesta at the 19th hole on August 25th! Subscribe to our newsletter to be entered to win! Prize consists of two round-trip flight tickets to Puerto Vallarta on Westjet, seven nights accommodations, and $1000 spending money. Random draw to be made in October, 2018. Winner must be 18 years old or older and a resident of Manitoba. Includes Breakfast For Two At Mango’s Restaurant & $10 Free Play!